Part of the photography work I do, is for magazine articles. In this example, I feature an article that was featured in Down East Magazine. The flagship publication for Down East Enterprises based in Rockport, Maine. I photographed a project that Lorraine Construction, a local builder in Rockport, Maine had worked on making to make the dream of Nate Chapnick a reality. This home in Damariscotta Lake is very modern and daring with many high tech gadgets. Nate wanted to have a big space where he could entertain guests. 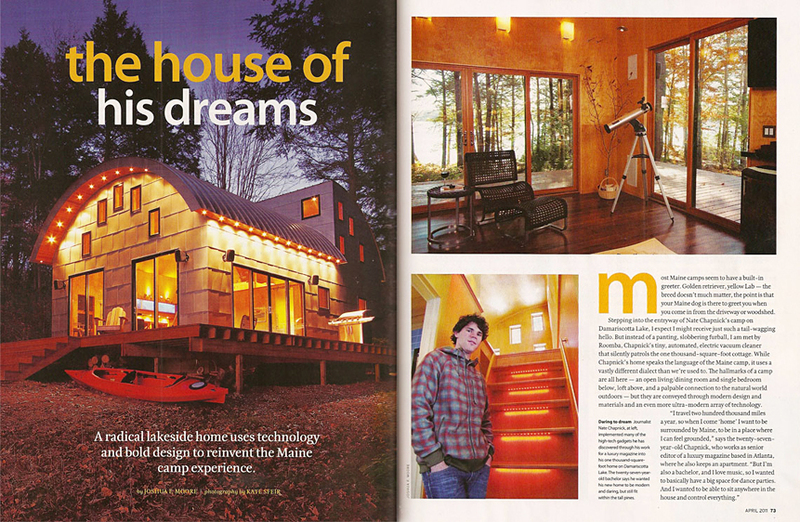 Down East Magazine published the story in their April 2011 issue. You can read part of the article here.